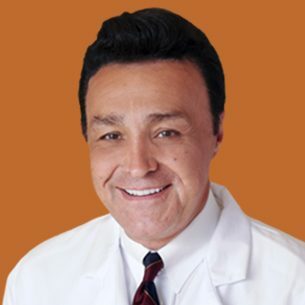 Dr. Gharagozloo is a cardiothoracic surgeon, an author for The Mesothelioma Center and is a pioneer in robotic surgery for mesothelioma. The Global Robotics Institute is located at Florida Hospital Celebration Health, just outside Orlando. Doctors at Florida Hospital Celebration Health perform more than 2,000 robotic surgeries annually — more than any other hospital in the U.S.
Gharagozloo spent four years at the University of Arizona Cancer Center in Tucson. Dr. Farid Gharagozloo, an innovator who has pioneered the expanding role of robotics for the treatment of pleural mesothelioma patients, is medical director of thoracic surgery at Florida Hospital Celebration Health. In 2013, he became the first doctor in the world to successfully use robotic surgery to perform an extrapleural pneumonectomy (EPP), the most aggressive treatment possible for mesothelioma. Gharagozloo specializes in a variety of thoracic disorders, including esophageal cancer and lung cancer. His work with robotics has attracted considerable attention. Although it’s been used for almost two decades with less invasive procedures, thoracic surgeons have only recently begun using it in the chest. Robotic surgery involves tiny instruments and a camera attached to a robot controlled remotely by a surgeon at a nearby computer board. It allows for more precise movement, better maneuverability and a more magnified view. Gharagozloo, who often lectures about robotics around the country, earned his medical degree from Johns Hopkins University and did his residency at the Mayo Clinic in Rochester, Minnesota.